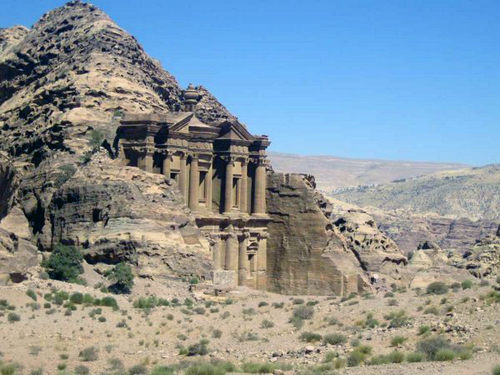 Jordan is celebrating 200 years since the rediscovery of the rose-red jewel in its crown, the ancient city of Petra. Established sometime around the 6th century BC as the capital city of the Nabataeans, it is a symbol of Jordan as well as its most visited tourist attraction. Petra’s story is ancient and fascinating. Much of Petra’s appeal comes from its spectacular setting deep inside a narrow desert gorge. The site is accessed by walking through a kilometer long chasm (or siq), the walls of which soar 200m upwards. 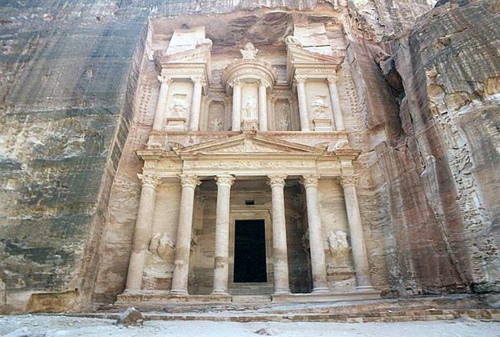 Petra's most famous monument, the Treasury, appears dramatically at the end of the Siq. Used in the final sequence of the film "Indiana Jones and the Last Crusade." the towering façade of the Treasury is only one of myriad archaeological wonders to be explored at Petra. Various walks and climbs reveal literally hundreds of buildings, tombs, baths, funerary halls, temples, arched gateways, colonnaded streets and haunting rock drawings. The site remained unknown to the Western world until 1812, when it was introduced by Swiss explorer Johann Ludwig Burckhardt. Now, Petra is recognised as not only a UNESCO World Heritage site but as one of the New Seven Wonders of the World, owing to its stunning landscape and incredible historical significance. The anniversary celebrations include a marathon and coincide with the 50th anniversary of the release of Lawrence of Arabia, which was set in the Arabian desert. There are sure to be more events and activities announced in due course. Hidden Trails offers a fantastic opportunity to visit Petra and discover the treasures of Jordan on a horseback riding holiday. We offer a horseback riding adventure away from the tourist hordes, in some deeply stunning locations. 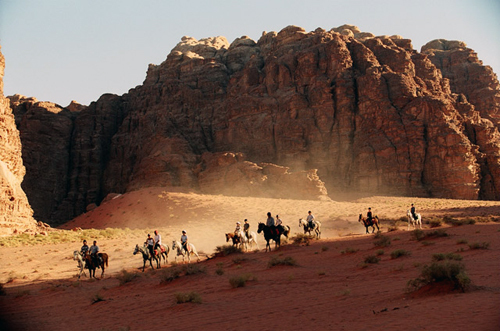 Whether you bask in the glory of the hidden city of Petra, spend a lazy day bathing in the Dead Sea, or follow in the footsteps of that great equestrian, Lawrence of Arabia, Jordan promises a mystical holiday experience. Jordan is one of the most welcoming hospitable countries in the world. You will find the locals eager to talk to you, and welcome you into their homes. 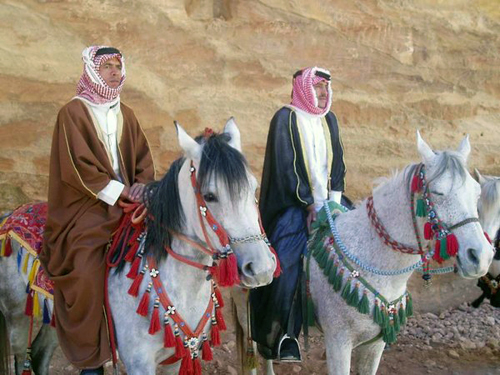 For further information regarding our horseback riding vacations in Jordan, please contact Hidden Trails. Thank you!